Psychometrics are not 100% reliable but you can’t find a job without passing through them! How does it help an individual and how is it conducted? In the field of psychological testing and scoring, psychometrics is a commonly known phenomenon. 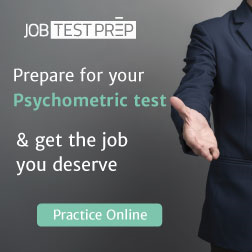 Those looking for a job at a firm will also come across the term of ‘psychometric testing.' However, if you want to find out more about psychometrics and the answers to the above-stated questions, then read ahead. Psychometrics is a field of psychological evaluation of an individual to assess his cognitive ability to draw solutions to a problem and his interpersonal and intrapersonal skills. This study is concerned with the development of the theory, the testing instrument and the technique to carry out those tests with individuals who are assessed. 1. The first part is all about the objective measurements of the traits and abilities of the individual. This will include his or her personality, knowledge, IQ, educational achievement, etc. questionnaires, personality tests, and Rater’s judgments are used in this part of the study. 2. The second part deals with the more statistical research. For example, judging the intraclass correlation and using the item response theory. 1. The primary function is to develop the procedures and tests and to construct the instruments that will help in carrying out those methods. 2. The second task is to keep on developing and refining the various theoretical approaches to the psychometric testing. Individuals who practice this field of science and carry out these evaluations are known as psychometricians. To be qualified as a psychometrician, they have to undergo some advanced graduate training in this field of study. Where are Psychometric Tests Used? Psychometric tests are usually conducted during the screening of candidates for the job vacancies. These tests are, therefore, designed in a way that they can be used to measure the behavioral style and mental capabilities of the individual as both of these factors play crucial role in the individual’s ability to fit into the new environment. The employers want the candidates to be assessed on their aptitude as well as their ability and traits that would help them to perform well in the new role that they are about to be given. These tests can even extract that information which otherwise remains hidden and cannot be detected through the documents of the individual and the interview. When Do You Have to Sit in for Psychometric Test? If you are about to apply for a job vacancy at a company, you will first be asked to submit your resume. The resume will serve as the first step of the screening process. 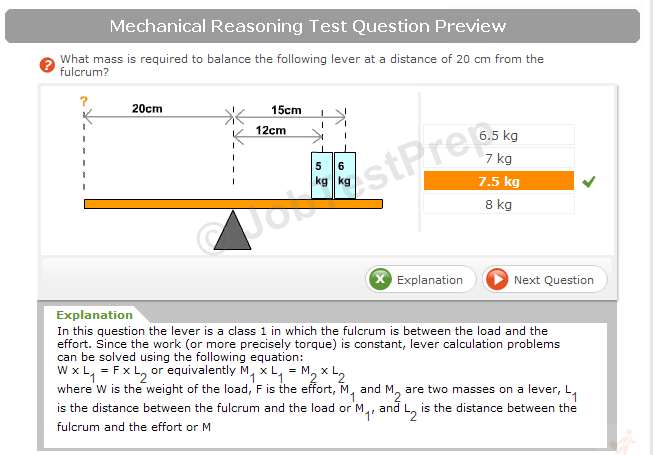 Once you qualify for that level, you will be sent a letter from the company’s representative, stating the instructions for sitting in for the psychometric test. The test will help reveal to the employer if indeed you possess certain qualities and mental capabilities to fill out the role for which you have applied. This analysis also supports the employer to filter down the potential applicants easily. Certain job applicants fear this test while others look at it with a certain degree of animosity because they fear that it is not the real and reliable way of measuring their true abilities, potential and keenness to fit into the new environment. The psychometricians, however, claim these tests to be accurate and utterly unbiased as they use both objective and subjects methods to assess the individual. How To Succeed at a Psychometric Test? So you have received the instructions and date to sit in for psychometrics, but you don’t know what to do. So here are some preparatory steps that you can take. 1. Understand why the companies have asked you to sit in for the psychometric test. Once you understand their purpose, you will remain focused as per their perspective. 2. You must know what the test comprises of and how it is taken. They will test you on your verbal reasoning, numerical reasoning, mental and cognitive abilities and personality traits. They can be taken on a paper, computer or even both. You will either have to attempt your test, or you will be required actually to perform in a test task. 3. You must follow the instructions provided to you in the letter. Carefully note down what all you need to bring with you on the day of the test. 4. Develop and maintain a positive attitude towards the whole experience. 5. Don’t underestimate the advantage of practicing various skills beforehand and don’t forget to time every effort.